Will you be able to bag the deadly Nemesis? Those of you who have a penchant for blood, guts and gore should be thrilled to hear about the latest expansion coming to Deadman's Cross. As of yesterday, Resident Evil's Raccoon City was made available as a limited-time area from now until July 27th. All you need to do to join in on the festivities is obtain a Raccoon City Permit by engaging in a collaboration quest. That's your ticket into the zombified hunt zone. 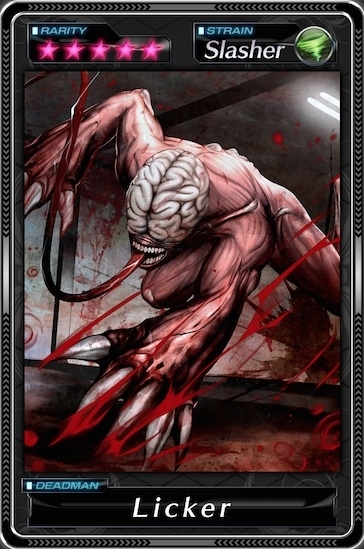 Once inside, players can collect special cards that feature monsters from the survival horror series, in addition to regular cards featuring vanilla Deadmen. They can be combined with cards you already have to create explosive combos and gruesome companions to your online personas so you can become the best card-battling zombie-slayer. For the uninitiated, Deadman's Cross is an intriguing prospect that combines familiar characters with card-battling mechanics. 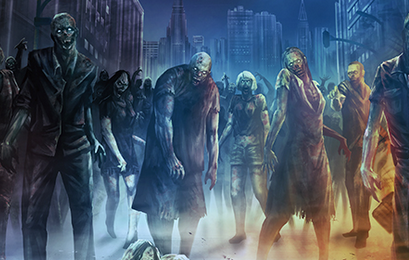 Square Enix's smartphone RPG finds players facing off against zombies ("Deadmen," to you) and then capturing them for use in battle with other players. To date, it's been downloaded over three million times worldwide. It's available now for iPhone, iPad and Android users, so if you want to get in on the fun pick it up now for some zombie-slaying goodness. Just don't forget to bring a few friends along for the ride. If you have any foolproof Deadman's Cross tips, tricks or strategies, feel free to share them with us in the comments below! 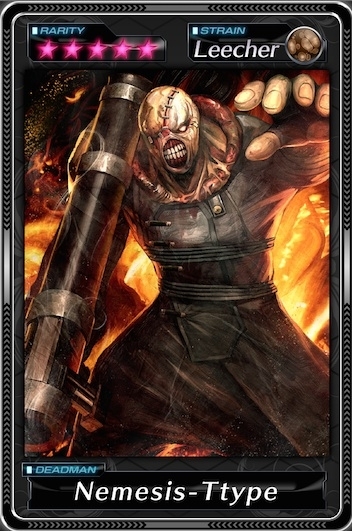 Download Deadman's Cross for iPhone, iPad and Android!